At its core, Cadasta’s mission is to advance global land and resource rights for vulnerable populations through innovative technologies and services. By providing technical tools and services to support documentation of land and resource rights, we aim to build stronger, more sustainable communities. Since our founding in 2015, Cadasta’s tools and services have made it easier than ever to collect, map, and store land and resource rights data. The rights of over 1,011,990 million people in 17 countries have been captured on Cadasta’s global platform. We invite you to visit our Global Impact Dashboard to learn more about Cadasta’s reach. Explore our project map to see where and how we are helping partners document and secure land rights around the world. Already being publicized by media as the “world’s largest slum land titling initiative,” Cadasta partnered with Tata Trusts and the Odisha State Government on the Odisha Liveable Habitat Mission—an innovative project designed to improve the living conditions of informal settlements in Odisha state. Cadasta worked with Tata Trusts by providing tools and training for over 800 community data collectors. Through the use of Cadasta’s fit-for-purpose technology and services, the team behind the Odisha Liveable Habitat Mission was able to efficiently document and map 123,000 households (to date) to create an official dataset of slum dwellings in Odisha. More than 12,000 households have subsequently received inheritable and mortgageable Certificates of Land Use. In addition to providing Certificates of Land Use, the Liveable Habitat Mission is also working to provide all essential urban infrastructure such as housing, roads, drainage, household toilets, public toilets, energy-efficient LED streetlights, full-time piped water supply to households, common work sheds, parks and playgrounds, and other amenities. In South Kivu, the Democratic Republic of Congo, Cadasta supported the international NGO ZOA to document current and historical land claims surrounding a defunct irrigation scheme that ZOA seeks to revive. Cadasta provided training to local data collectors, customary leaders, and government land authorities in participatory mapping techniques, land data collection, and dispute resolution as a first step in identifying land claims. The data collected will serve as a basis for more formal documentation of land rights, while ensuring equitable and sustainable access to the irrigation scheme by legitimate landholders. In South Sumatra, Indonesia, Cadasta supported the Kelola Sendang Traceability Project, a DFID-funded initiative designed to address the challenges of deforestation within the context of green growth and biodiversity conservation. Working with local government, smallholder farmers, and other actors within the palm oil supply chain, the project utilized Cadasta’s platform and tools to pilot a sustainable management partnership model. The project and data were transferred to local government authorities to issue production permits—an intermediate form of formal land rights recognition. In Mufulira, Zambia, OpenStreetMap (OSM) Zambia used Cadasta’s tools to document the property rights of residents of an informal settlement. Following a brief remote training with Cadasta staff, the OSM team trained thirty community members, nearly half of which were women, to collect land rights information using Cadasta’s tools. 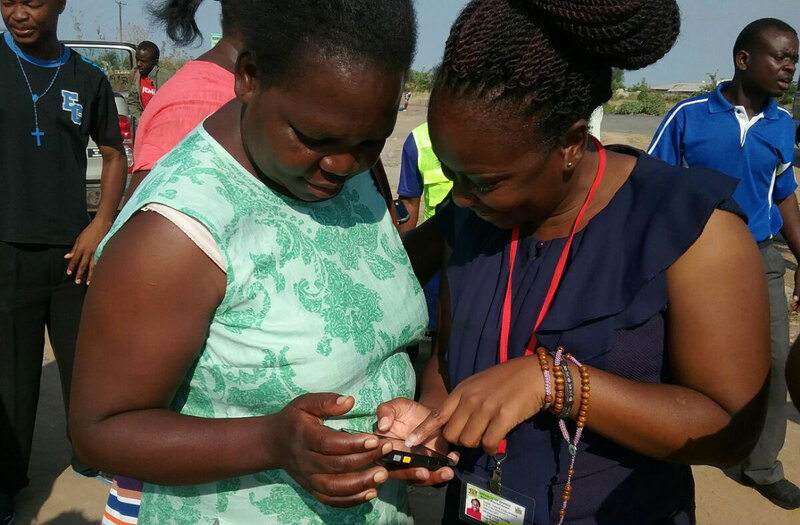 Despite minimal experience with smartphone technology, the team was able to record the rights of over 5,000 households and properties in just two weeks. Now, with documented land holdings, the group hopes to improve the settlement’s access to formal rights, public services, and infrastructure. Learn about the partners behind these stories and what they have to say about working with us here.